SOUTH PLAINFIELD, New Jersey (WABC) -- A New Jersey high school teacher was arrested after police said she sent inappropriate photos to a student. 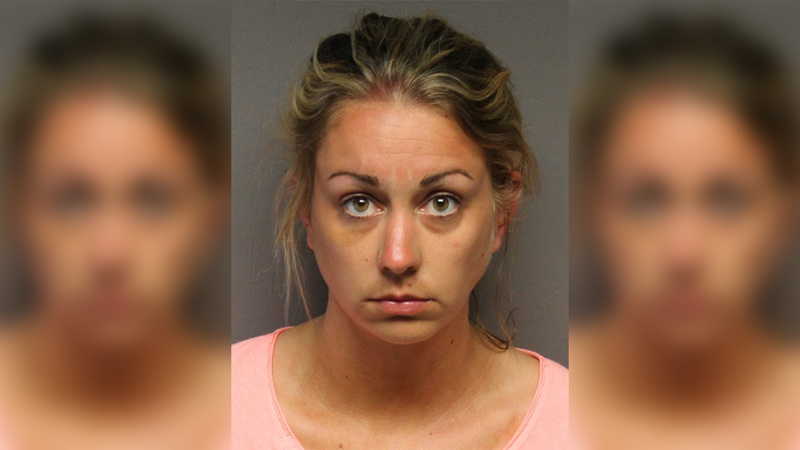 The Middlesex County Prosecutor's Office said 29-year-old Mallory Christ, of South Plainfield, was charged with endangering the welfare of a child on Monday. The prosecutor said the South Plainfield High School math teacher sent two photos of herself to the student sometime in February 2016. She is being held without bail at the Middlesex County Adult Corrections Center in North Brunswick. The investigation began after school officials learned of the photos, which were posted via social media, and contacted police. Christ, who was employed at the district for two years, taught courses in algebra to juniors and math to seniors. She also served as the coach of the high school cheerleaders. She previously was employed as a teacher at Sayreville War Memorial High School. The investigation is active and is continuing, and anyone with information is asked to call Detective Clifford of the South Plainfield Police Department at (908) 755-0700, or Detective De La Cruz of the Middlesex County Prosecutor's Office at (732) 745-3300.